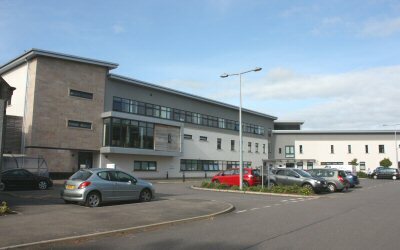 The Nairn Surgery is based in Nairn Town & County Hospital & Primary Care Centre. There is a large car park surrounding the building with many spaces for disabled visitors. The building provides a large waiting area, with toilets and baby changing facilities, free telephone access for booking taxis, and wheelchairs are available for use within the building for those requiring one. The Practice reception has an electronic check-in and patient call system. As well as a good range of consultation and treatment rooms, we also have a dedicated Minor Surgery Suite and Ultrasound room. Portable hearing loops are available; please ask at reception for details. All of the Surgery rooms are based on the ground floor. 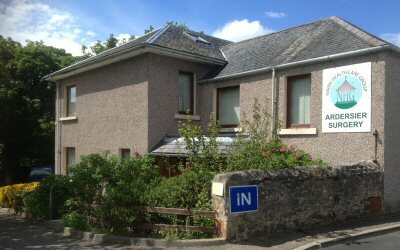 The Ardersier Branch Surgery is situated in an older building across two floors. Access to the upper floor is by a set of steep stairs; please let the receptionists know when making your appointment if this may cause you difficulties, and we can arrange for your appointment to take place in one of the ground floor consultation rooms. There is limited parking behind the Surgery, including a disabled bay. Unfortunately, any information entered in our previous form will have now been deleted. Please re-enter your details and re-save. Cookies will need to be enabled on your internet browser. Unfortunately, this is a BT error and is outwith our own and the website provider's control. BT are blocking automated emails from a large number of companies. This is an issue that is still ongoing with BT.